Count on our excellent customer service and uncompromising work ethic! We have an extensive inventory of available homes for sale! Looking for a Sellers Agent ? Look no further we can help you here! Buy, sell, rent, invest, property management and price analysis. 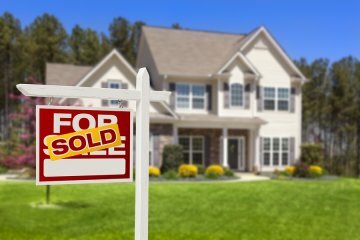 Whether you’re selling or buying a home in Atlanta, Realty 1st is here to help! With almost 20 years of experience working in the real estate market, we know how difficult the process can be–especially if you choose to go it alone. Across the nation, economic conditions have forced home owners and home buyers to approach real estate processes cautiously, which is why having an experienced agent from Reality 1st on your side is so important at this time. Every day, we pay close attention to the demand seen from buyers and mortgage rates in areas in and around Atlanta. In doing so, we are able to provide our clients with accurate market pricing that allows for successful home buying and selling. This is where real estate comes first! Realty 1st has come to be known for our leadership and customer-oriented business approach. Buying, selling, and renting properties in Atlanta and Alpharetta has never been easier than it is when you work with an Atlanta realtor from our office. Since we began our business nearly two decades ago, we have continued to grow with the Atlanta and Alpharetta communities. Our intimate knowledge of the community's character and growth potential come from our years of experience working in the area--something that many other realtors cannot say! During your home-buying or home-selling venture, we can provide you with information about nearby schools, transportation options, and more. The unique needs of you and your family will be carefully catered to at Realty 1st, so call today at 678-221-3333.